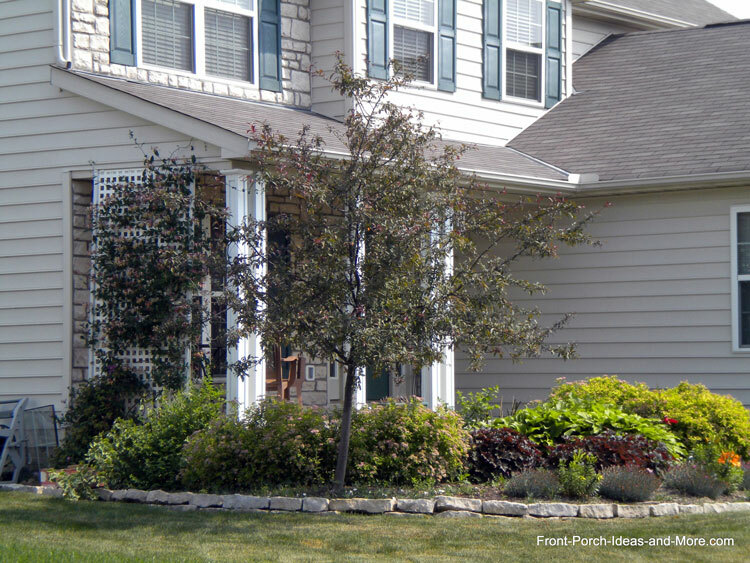 A privacy porch is ideal for relaxing in comfort or for hiding unpleasant features from view. 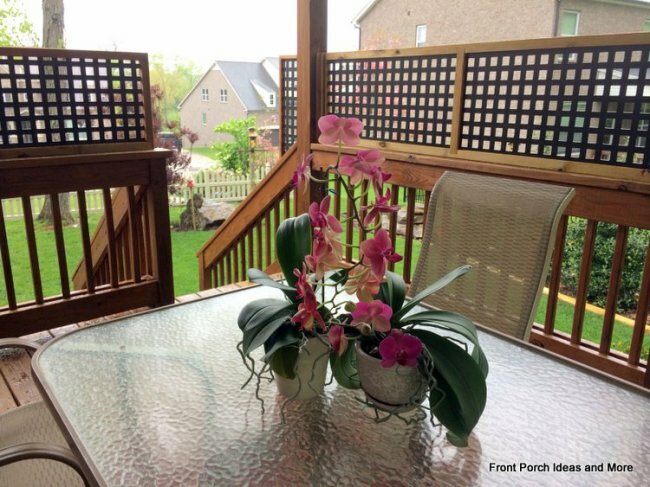 Porches are also great for entertaining, but what if you want a little time to yourself? 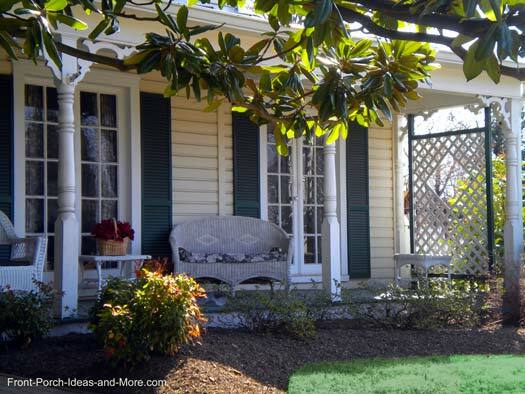 A privacy porch can do just that - give you a relaxing nook to spend some quiet time. In this day and age, hustle and bustle have become our middle name leaving very little time for pure relaxation. Or perhaps you need to hide your neighbors old car or unkempt lawn from your view. 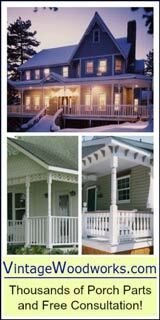 Our front porch ideas will give you plenty of options. 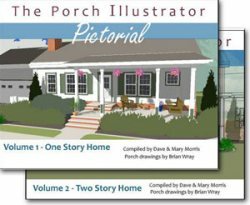 A privacy porch can be just a little area of your porch that is hidden from view - when you can enjoy a good book or sit with your sweetie. It doesn't even have to be on the ground level. 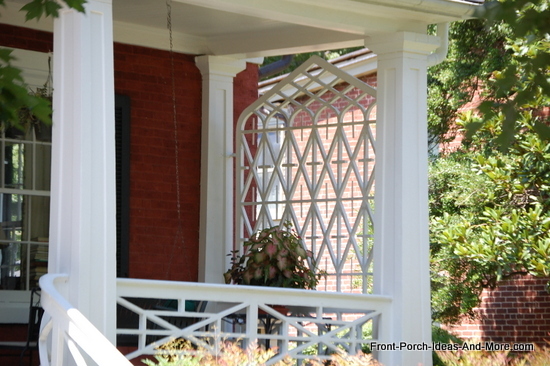 To create a sense of privacy, Janisse uses lattice panels on her front porch. She plants mandevilla vines to wrap around the lattice in the summer, which she says, creates a colorful touch of red on her porch. 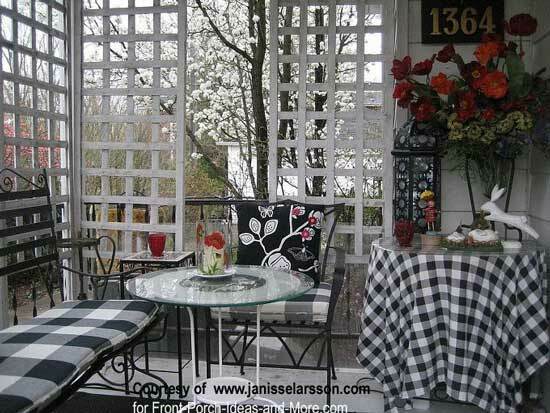 We like Janisse's idea for creating a cozy hideaway on her front porch. 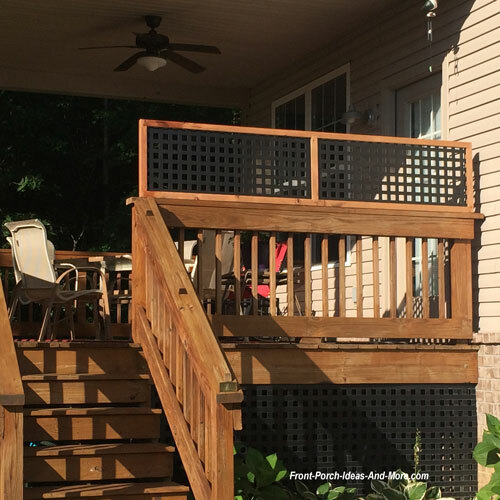 Create a privacy porch, or a sense of privacy, with vinyl lattice. Leave as is or cover with vines for additional seclusion. 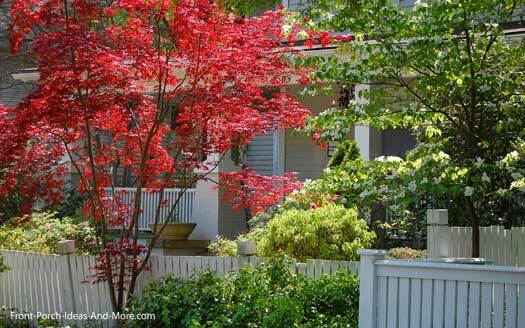 You could easily cover your privacy screens with vines to add both color and more privacy. 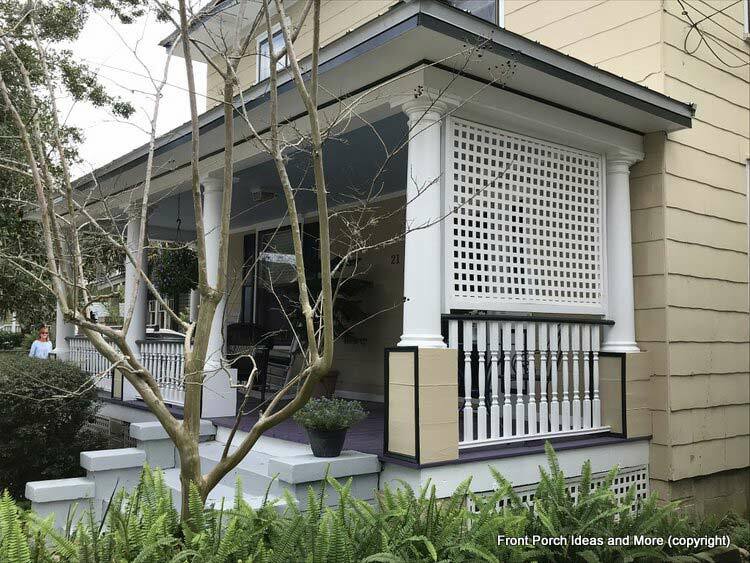 The panel fills the space between the balustrade and porch columns. Since the homes are rather close in this neighborhood, this privacy panel makes this porch that much more inviting yet still allows for filtered light. 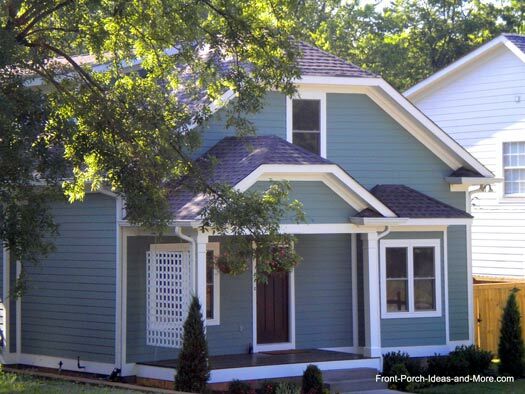 Did you notice the blue porch ceiling in the porch above? 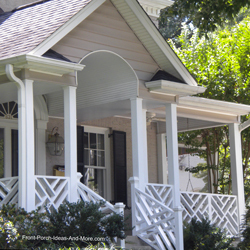 There are reasons homeowners like blue porch ceilings. 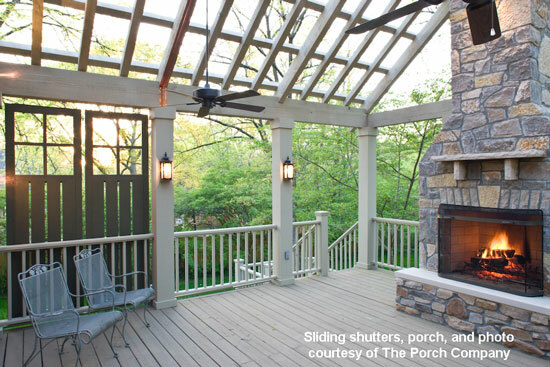 How Do You Use Your Porch or Patio Area? Is it reading good books or writing a best selling novel? Then a comfortable chair is ideal. And how about a small table to hold your glass of iced tea and snack? Is it surfing the net? Then a comfortable chair is again ideal and maybe a small table for your laptop. Is it to spend time with your sweetie? Then you don't need much but a porch swing or a couple rockers. A little relaxing mood music is great. How about lighting a few candles? Is it a place to take a good nap? Well, a lounging chair or porch swing is what you'll want. Maybe a few soft pillows and a CD playing relaxation music. If it's chilly, a small lightweight blanket comes in handy. Is it viewing wildlife or working on a favorite hobby? Have some binoculars handy and your favorite bird book or tree identification book. 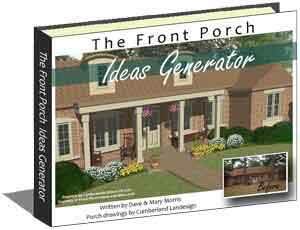 If your porch is large enough, create a nook for yourself at one end. 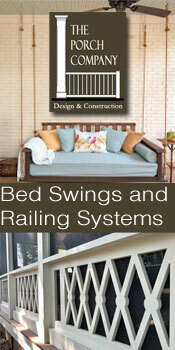 One of the easiest ways to create a privacy porch is by using shades or blinds. Exterior porch blinds can not only protect your privacy while allowing you to see through them, they also block wind, rain, and the sun (solar shades). You can use furniture settings to define the space for a private porch. 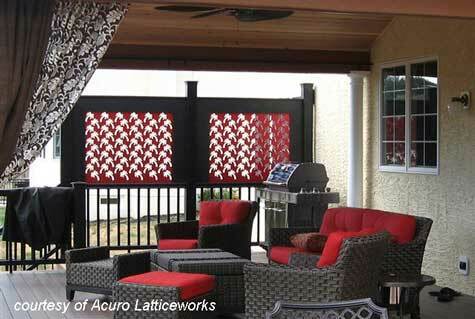 Or use partitions or custom lattice panels (we like the one below) or screen panels work great for that. 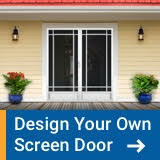 Or go to your local salvage yard and find two or three old screen doors. You can repair and paint as necessary, hinge them together, and voila! 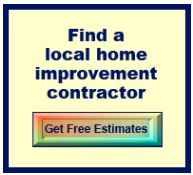 - you have a neat porch divider that probably fits your decor really well. 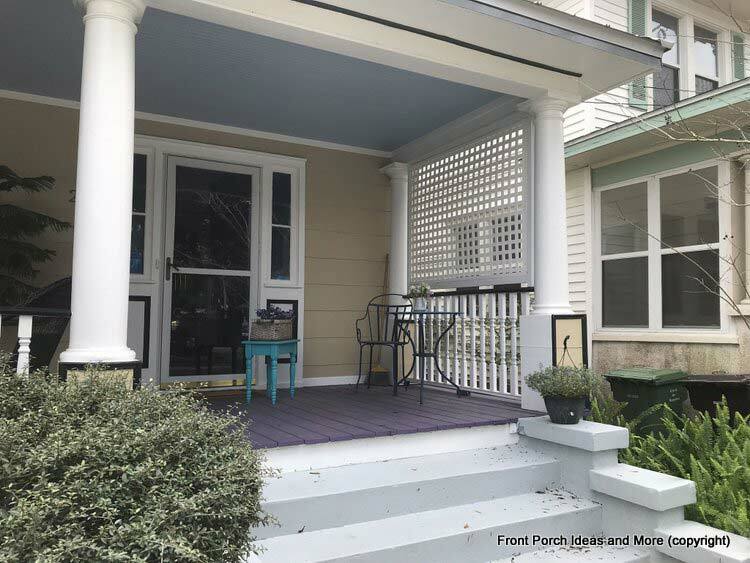 To minimize the sun for one of their customers, The Porch Company used shutters on tracks that can then be easily moved along the side of the porch to reduce the light. You could use the same idea for privacy as well. See how they did it. Determine the amount of space you have available for a privacy porch area and select a trellis planter like the one shown here (complements of Plow And Hearth Remember to allow for maneuverability around your planter while still maintaining the privacy you'd like. Determine whether you want this to be permanent (perennial) or seasonal (annuals). Consider how long it takes to grow the plants and if you want privacy during the winter months as well. An advantage with annuals is that colors are more bright and prominent than with many perennials. Also, your colors will be different every year. Use annual vines along with perennials to get started. Some varieties of squash and cucumbers will climb up a trellis (if you coax them a little). English ivy is another easy one to get going. Black-eyed Susan has white, yellow or orange flowers. It liked light shade and moist soil. Grows to about 7 feet tall. Sweet peas can grow from 2 to 7 feet in sunny locations. We had a sweet pea plant for quite a few years. You can save the large seeds from season to season and plant the next year. The flowers come in many colors - pink, lavender, purple. They like good rich soil. Morning glories are some of my favorite! They have wonderful blue flowers. You can also get varieties with pink or magenta flowers. Like their name, they are open in the morning and close by evening. They like full sun and do well in poor soil. They can grow up to 15 feet tall. Cardinal Climber is a beautiful annual vine that hummingbirds love. They have red trumpet-shaped flowers. Campsis has orange red trumpet-shaped flowers. Like the Cardinal Climber, they attract hummingbirds. Clematis comes in many varieties. We love these, too. They are large-flowering vines with very showy flowers in white, blue, purple. Some will bloom much of the summer and others bloom for just a week or two. 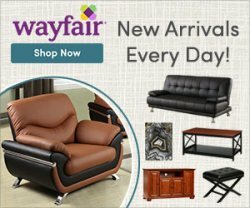 Ask when you purchase them. We once had a clematis that had a bazillion small white flowers but only bloomed for a couple weeks in August. As lovely as it was, we sure wished it would have bloomed longer. Moon flowers are fragrant and flowering. They are nocturnal - their large flowers open at night and close during the day. Virginia creeper is a perennial vine that has dark green leaves. It is grown for its beautiful foliage that turns beautiful shades of crimson and orange in the fall. 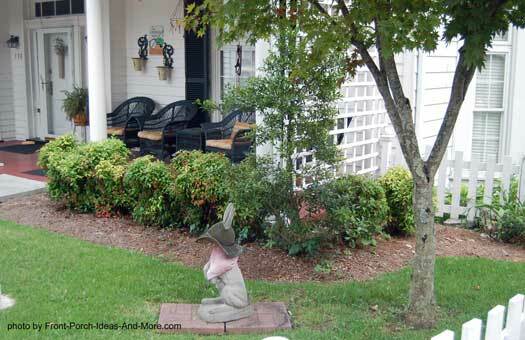 Use vines to create your very own privacy area or to conceal otherwise offensive line-of-sight objects. 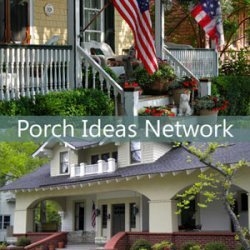 See our Porch Landscaping Directory for more great ideas using plants and landscaping for your porch. American holly or Nelly Stevens holy and Wichita Blue Juniper are all great hedges for privacy. 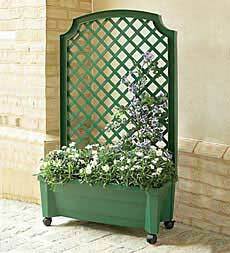 Grow vines like wisteria over lattice panels. Use treated wood. Take care with vines on your home as clinging vines can actually cause damage to brick and other materials. Other vine options are: Virginia Creeper, Trumpet Vine, Bittersweet, Climbing Snapdragon, Morning Glory, and Clematis. If you have a knee wall use shutters or blinds to cordon off your private space! 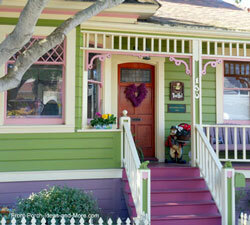 The best thing about a privacy porch or private porch area is that you can outfit it just the way you want. Not only consider comfort but pamper yourself as well.